A classic bedroom with a fireplace and a bay window is brought up to date with a contemporary shaker style in the White Avola woodgrain. 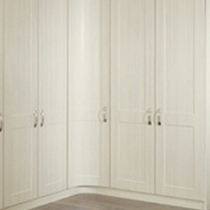 The curved doors create a unique flowing design making all your space easily accessible. All our bedrooms are available in standard and made to order sizes, meaning that we can fill any space you have. 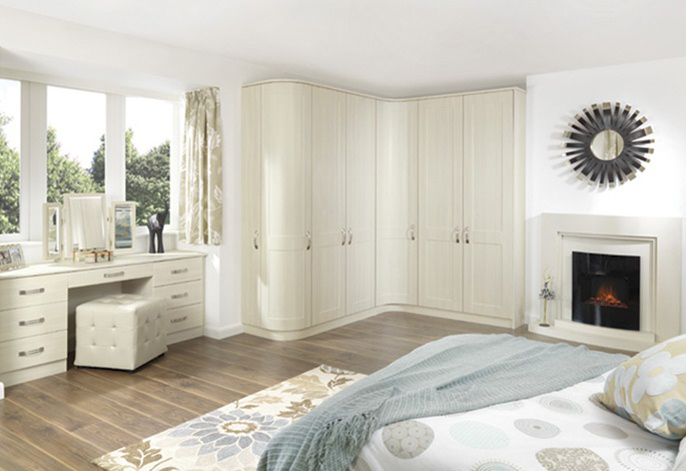 Made to measure gives you the most out of your bedroom. 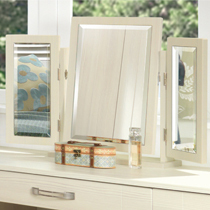 This range comes in around 200 door combinations so there is always something for everyone’s taste.